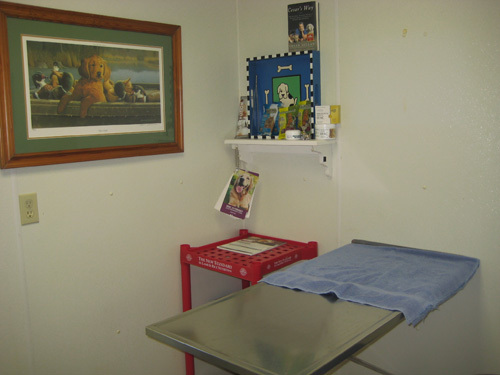 Our exam rooms are warm and welcoming and are equipped with the necessary tools for Dr. Walker to complete your pet's physical examination. 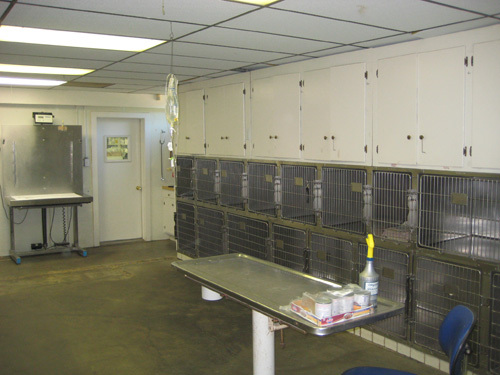 Our treatment kennel is for patients who are sick where they are treated and cared for by Dr. Walker and his staff. 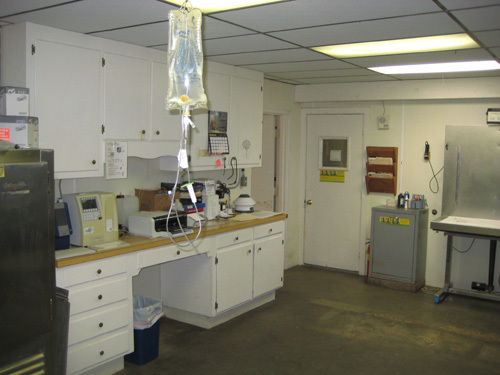 Forest Animal Hospital has an in-house diagnostic lab ready and available for when time is imperative to start a treatment plan for your loved pet. Dr. Walker can obtain the results of your pet’s blood work in a matter of minutes. Forest Animal Hospital not only offers amazing medical care to our furry clients, we also have state-of-the-art boarding facilities. 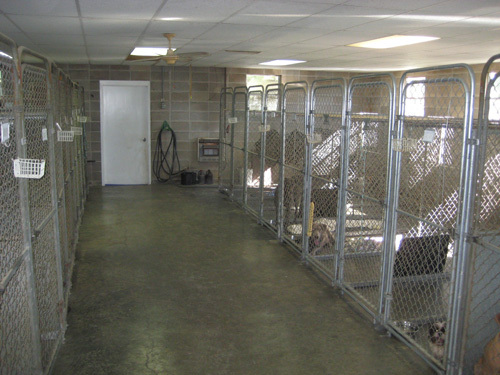 Our climate-controlled kennel areas are spacious, comfortable and conducive to keeping your animal calm and happy. Cats are given a separate area away from dogs, due to their high stress levels. Our pet owners can rest easy knowing that their animal is given plenty of food, water and exercise as well as love and compassion from our staff. All animals are under veterinary supervision, therefore if a medical issue arises, quick attention can be administered. Before your pet is able to stay in our boarding area, they must be up to date on all vaccinations as well as being flea-and-tick free. This is done not only for your pet’s safety but as well as other animal’s safety. Please set up a stay with our front desk for your fur-baby in our facility if you are in need of quality care for your animal companion. Dental care in animals is often overlooked by pet owners and Forest Animal Hospital aims to change that by educating clients on dental care and health. By your pet having dirty teeth and gums, they are at a higher risk of infection and illness due to the buildup of harmful bacteria in the mouth. Dental care starts with a thorough examination by our doctors and then a deep cleaning by our staff. 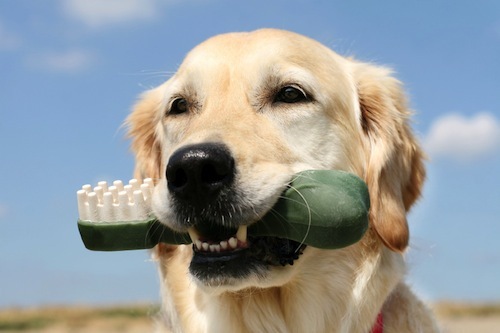 Once your pet has had all issues addressed, you will be shown the proper way to clean your pet’s teeth and gums which may include brushing as well as tasty treats and food that clean their gums and teeth. If you notice that your pet has unusual bad breath, loss of appetite or whines when eating, please call Forest Animal Hospital to set up an appointment with our veterinarian. 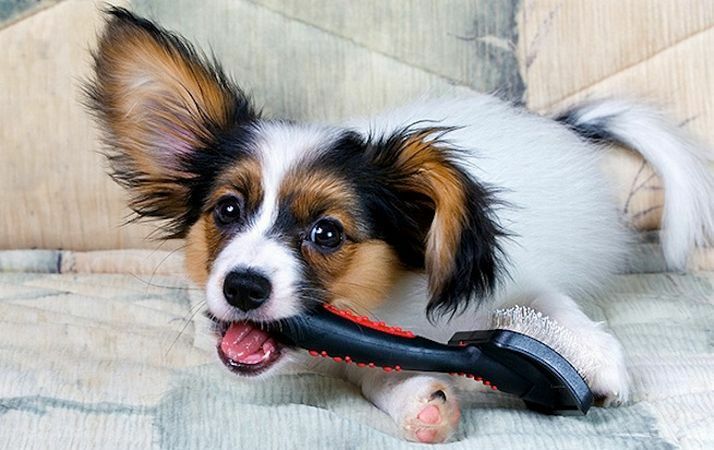 Forest Animal Hospital is happy to announce that we now offer grooming services. Kevin Poturalski, our new groomer, has 13 years of experience and he takes pride in his work. From nail trims and puppy cuts to bathing and treating your pet for special skin conditions, Kevin can help your pet look and feel their best. Appointments are limited and are filling up fast. Call our office today to make an appointment for your pet. Over the last 40 years, lasers have been shown to have a numerous positive effects in healthcare. They simplify surgical procedures, promote healing and keep medical care minimally invasive. 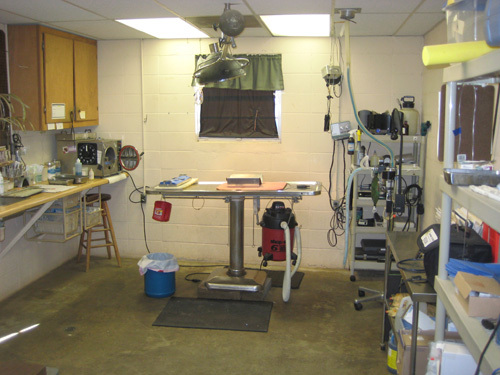 Veterinarians use laser in many ways, and at Forest Animal Hospital we use lasers to promote healing from wounds, joint trauma and inflammatory disease. A laser is used to send “pockets” of energy to a concentrated area on your pet’s body. These energy pockets speed up cell renewal and give your pet almost instant relief from pain. 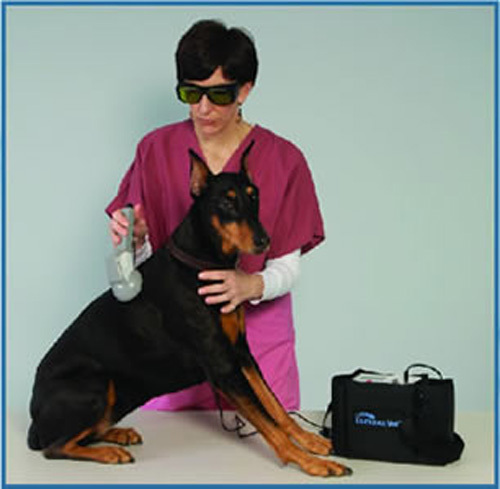 Your pet may need anywhere from one to several sessions of laser therapy. An examination with our doctor will be enough to determine a preliminary quote of sessions and this may be altered with how well your pet reacts to treatment. Surgery is divided into three (3) parts: preop, intraop, and postop. 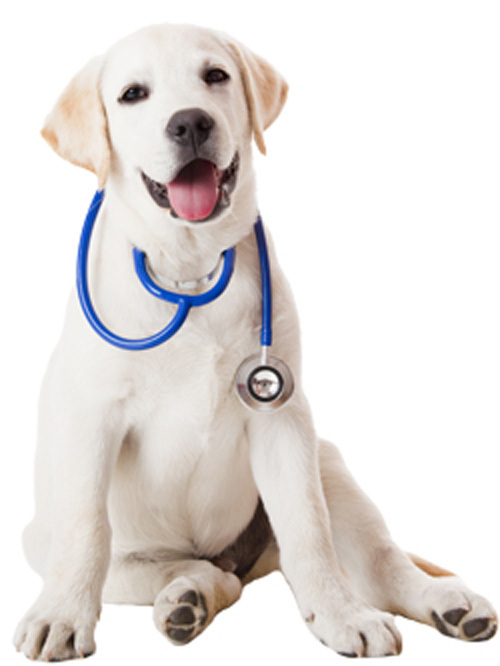 During pre-op your pet will undergo preliminary examination as well as x-ray and blood work. This is done to identify any potential complications before surgery. Intra-op means that your pet is put under anesthesia and is monitored continuously by our staff while asleep. Heart rate, blood pressure and oxygen levels are watched and medicine is adjusted as needed during surgery. Once the surgery is complete, post-op care is implemented. Your pet is brought out of anesthesia and is monitored for organ failure and pain management for several hours by our staff. Post-op care can last for a few hours to a few days. Once your pet is well on their way to feeling better they are sent home with care instructions and follow-up plans. Pets recover best where they are comfortable and that is at home with you! One of the most common questions we receive as animal caregivers is: When do I need to make sure my new pet comes in for care? Forest Animal Hospital simplifies this by outlining a basic care plan for young pets as well as senior pets. Young pets must be checked early on for any signs of parasites or disease that may be fatal to them as well as other animals. Once they undergo the initial visit and receive their first dose of shots and vaccinations, you will be given a schedule of follow up appointments for their first year of life. Once your pet has grown a little older, yearly exams are what is recommended to keep their health on the good side. As pets hit their senior years, they may require more frequent appointments to address arthritis, diabetes, joint disease, etc. Forest Animal Hospital has wellness plans written out for their clients so that you can stay informed and up-to-date on your pet’s health.